Skill and Luck – Both are very important when one goes on a Safari. 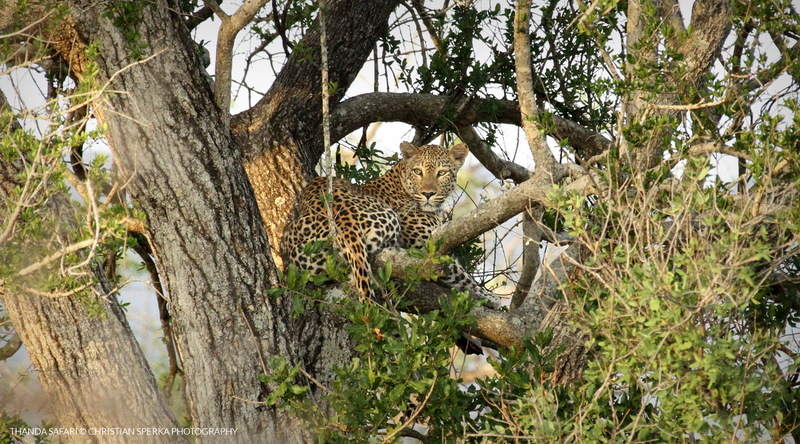 Spotting a Leopard in a tree is a skill, the Leopard being there at the right time is pure luck. 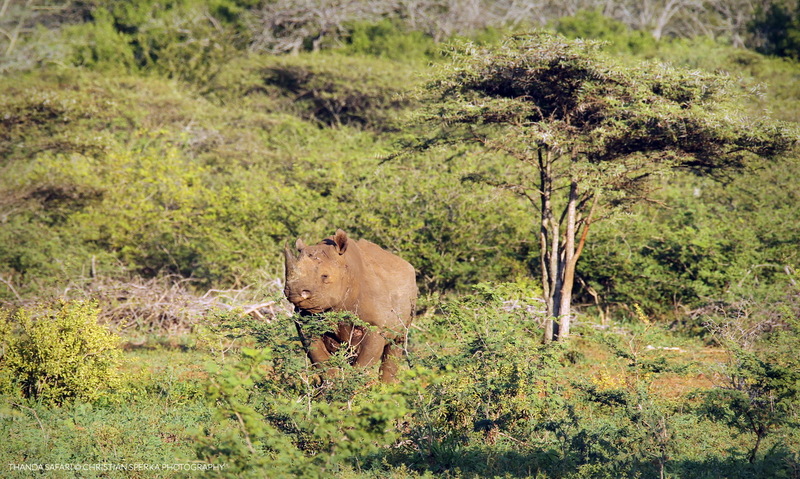 Tracking down a Black Rhino is a skill, for the Black Rhino to stick around long enough to be able to take some good pictures is very lucky, indeed. Thanda Safari guests on last night’s and this morning’s game drives experienced the skill and the luck!